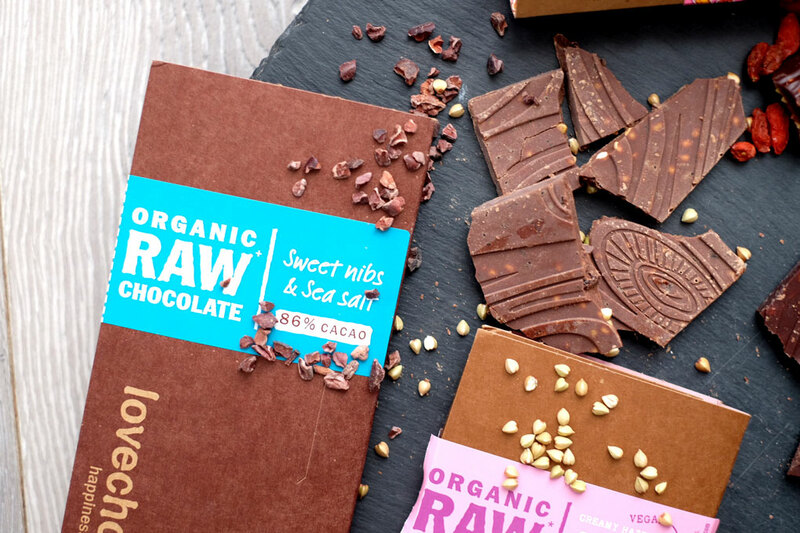 Oh, how I love it when I get to add a new raw chocolate brand to my (ever growing) list of indulgences. And how I also love it when I get to take pictures and tell you guys about them! Lovechock chocolate has been on my radar for some years, but have only really started to be a regular addition to my grocery basket since my local health supermarket began selling them. Hailing all the way from the Netherlands, this beautiful chocolate could once only be ordered online for us UK-dwellers. However, now it’s likely to be found in many health food shops across the country, and is available to buy from Amazon. As every raw chocolate brand has its own unique flavours and tastes, I’d definitely recommend trying a few different brands until you find one you like (which is extremely likely). 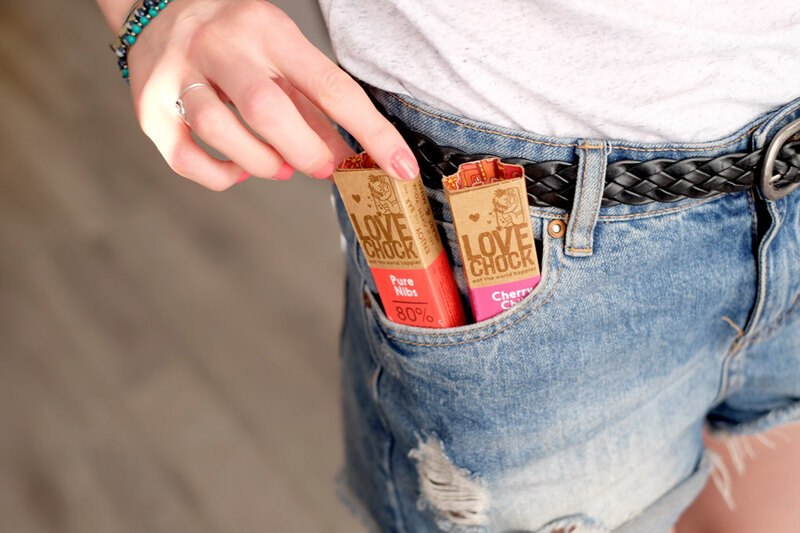 The darker chocolate bars from Lovechock are perhaps less creamy than what conventional chocolate-lovers are used to. 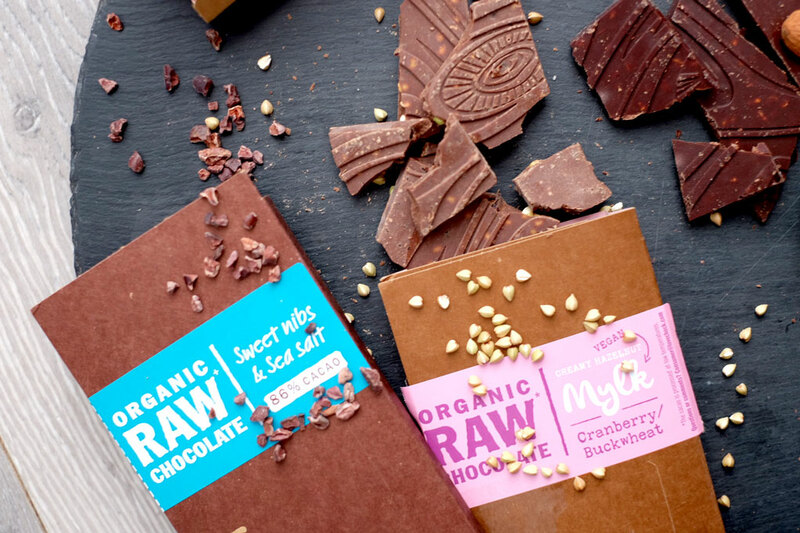 However, if you pick up a bar like the Cranberry & Buckwheat, made from hazelnut mylk, you’ll feel just as satisfied. For me personally, I love having a stock of Lovechock in my fridge for whenever the craving strikes. And it always helps when you know you’re getting a health boost too! 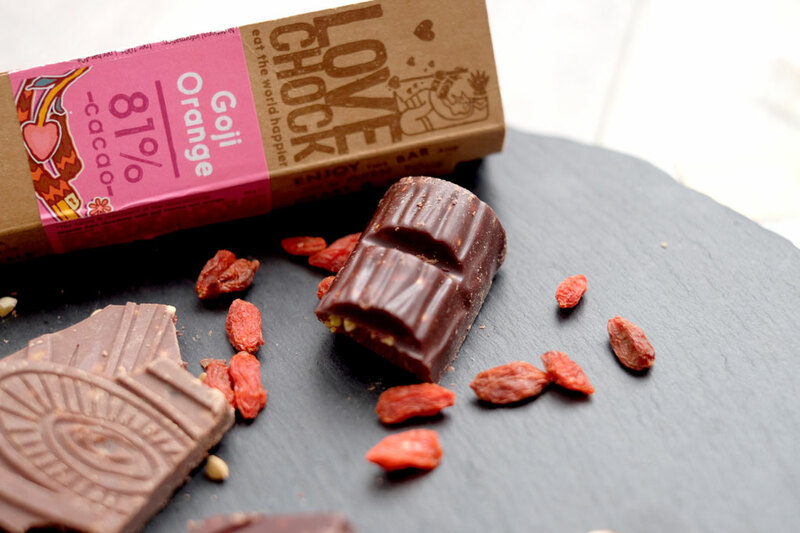 Laura de Nooijer, founder of Lovechock, first discovered the power of raw cacao whilst on her travels through Mexico and Brazil. After learning from the ancient Mayas, Laura began making her own raw chocolate when back in the Netherlands. It became increasingly popular with friends, and soon Lovechock was born. 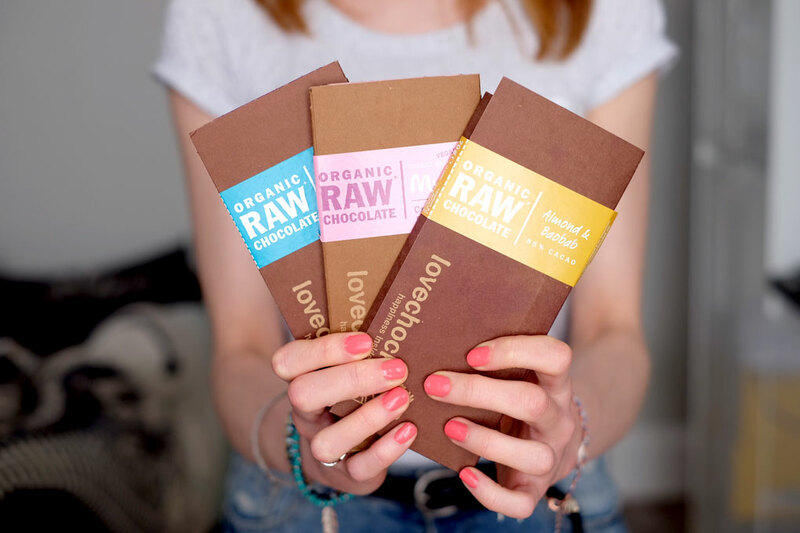 The brand builds its product on the three pillars of love: love for oneself (by choosing to eat healthier treats); love for the earth (by using organic ingredients and minimising effects on the environment), and love for others (by using cacao sourced only from carefully selected small cacao farmers). The packaging Lovechock uses is also made from trees in sustainably cultivated forests, and their foil is fully biodegradable. It seems funny to talk about chocolate as having ‘love chemicals’, but it ain’t too far from the truth. 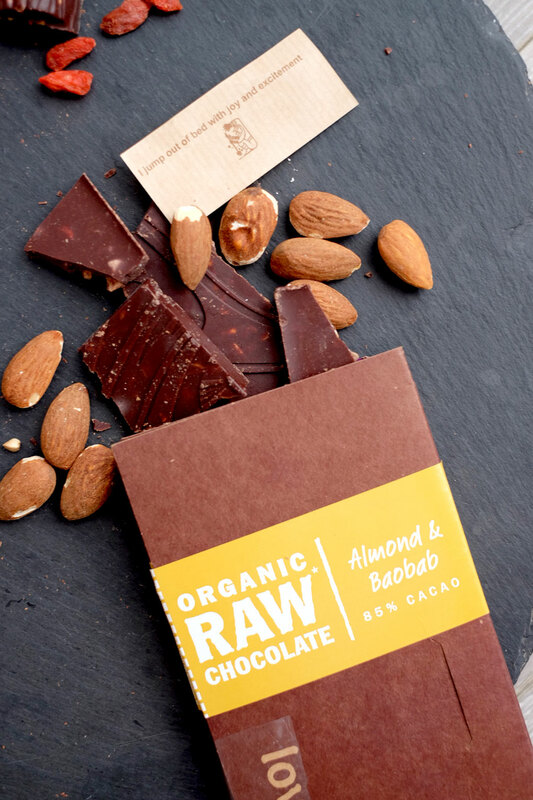 As we all probably know by now, raw cacao is one of the most powerful superfoods on the planet and carries a whole host of benefits. It is a good source of a lot of vitamins and minerals such as zinc, iron, magnesium, potassium and flavenoids, as well as amino acids and phyto-nutrients. Two of its chemicals, tryptophan and phenylethylamine, have even been linked to mood boosting and aphrodisiac properties! 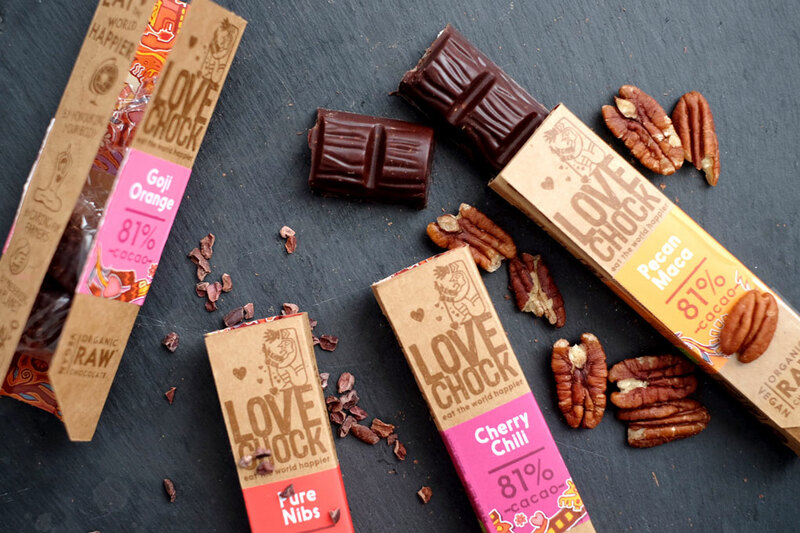 Lovechock makes their chocolate even more exciting with additions of delicious superfoods like goji berries, almonds, maca, Bourbon vanilla, cinnamon, mulberries, lucuma, baobab and cacao nibs. 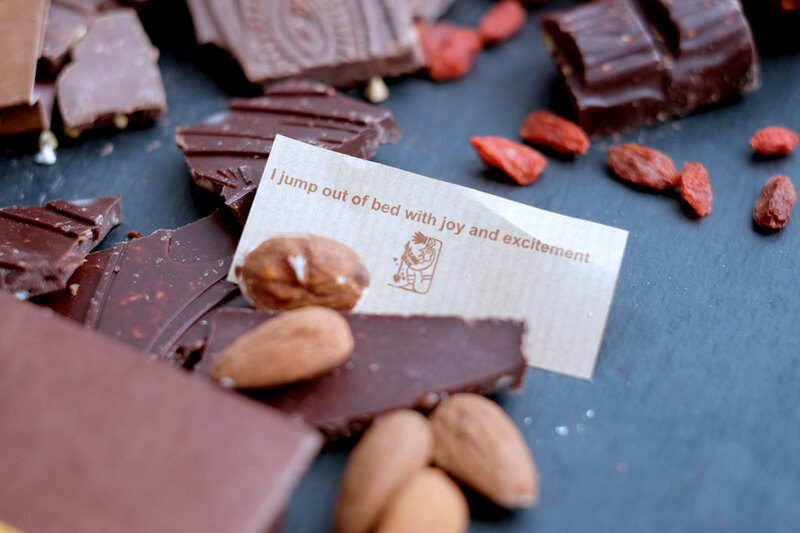 These go a long way towards making their chocolate selection not just more flavourful, but even more nourishing for the body. You can read about the various properties and benefits of these superfoods here.